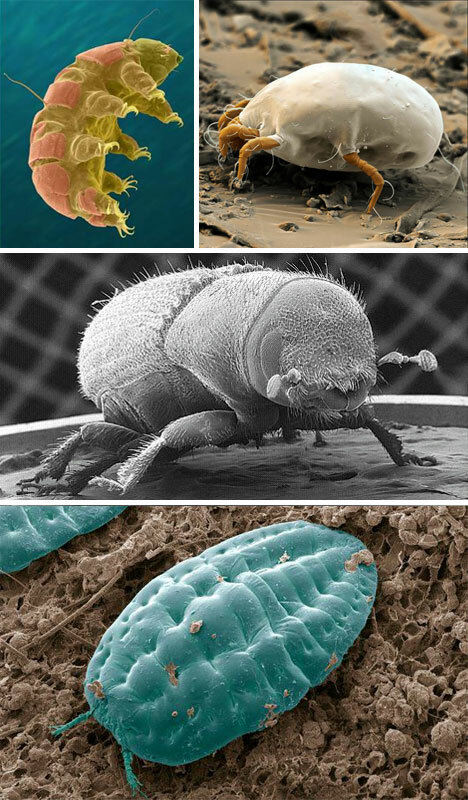 Scanning Electron Microscopy allows scientists to enter a miniature world full of fantastic creatures and otherworldly objects. When viewed on such an incredibly small scale, the most mundane objects and textures become an alien wonderland. 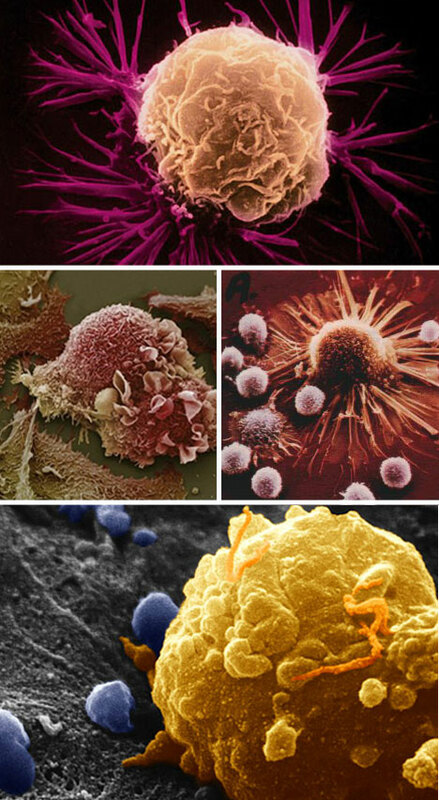 Cancer cells are a terrifying prospect, and though on the surface they appear just as alien as anything else viewed with an SEM microscope, it’s impossible to tell the danger they represent from images alone. 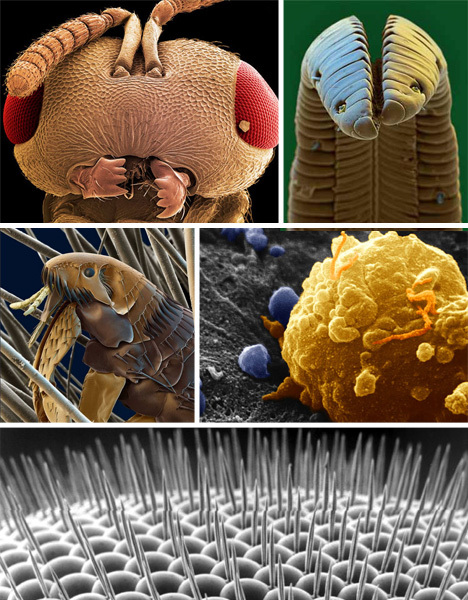 The face and of a mosquito, the hooked claw of a microscopic beast, and the bisected tongue of a hummingbird all look like aliens from a high-budget film. These close-up portraits are proof that real life can be stranger than fiction. 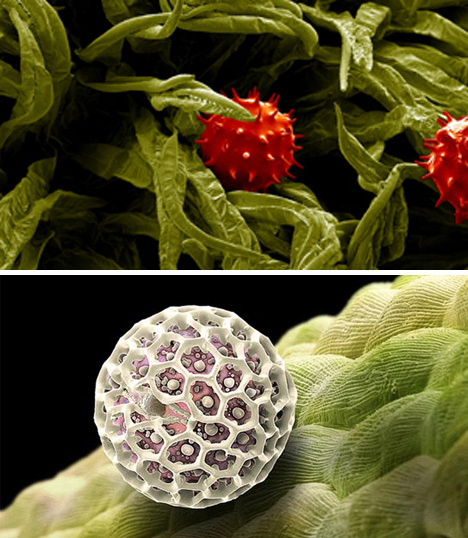 The bane of sinuses across the world, pollen doesn’t look so frightening up close. 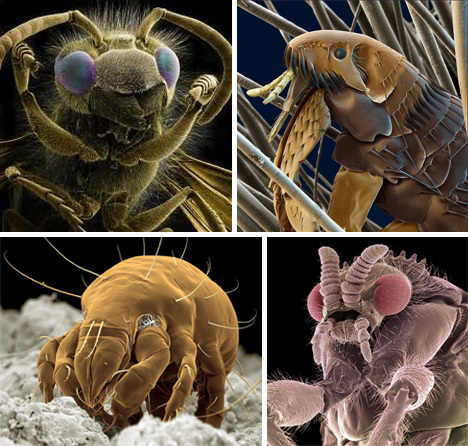 Microscopic creatures are frighteningly alien. Lurking on a level below our awareness, many of these organisms’ lives are entirely dependent on the detritus from larger organisms. It is difficult to imagine anything more alien in outer space than what is already present on the planet we call home. Try not to think about the millions of creatures that live entirely off of dead skin cells, or it may be difficult to fall asleep tonight. 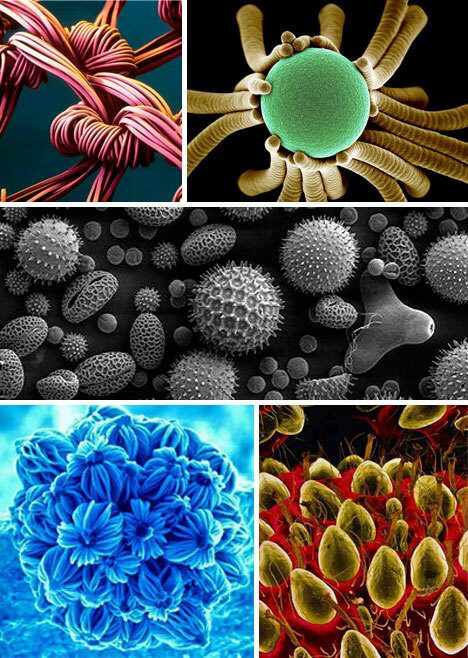 Normal materials take on a beautiful quality when viewed with scanning electron microscopes. A nylon stocking becomes a giant web, pollen appears as spiky balls, and the surface of a strawberry looks like an alien landscape. 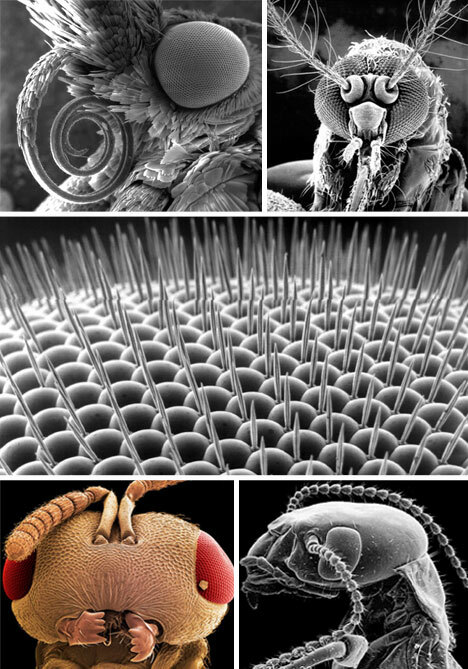 Insect heads are terrifying prospects when viewed in detail. 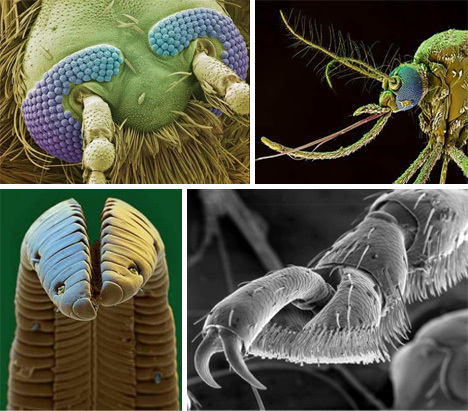 With sharp mandibles and multifaceted eyes, insects are far from attractive. Extraterrestrials are overrated when one gets used to seeing scanning electron images. One can see creepy crawlies covered in tiny hairs, with hook-like claws and dangling antenna. 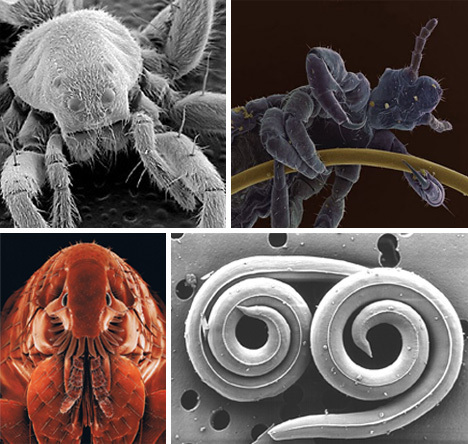 SEM images definitely make one glad that these creatures are below our everyday awareness.